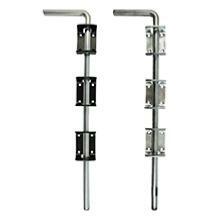 Ideal for securing the bottom of gates and doors. Extended length for ease of operation. Adjustable bolt throw by keep positioning.